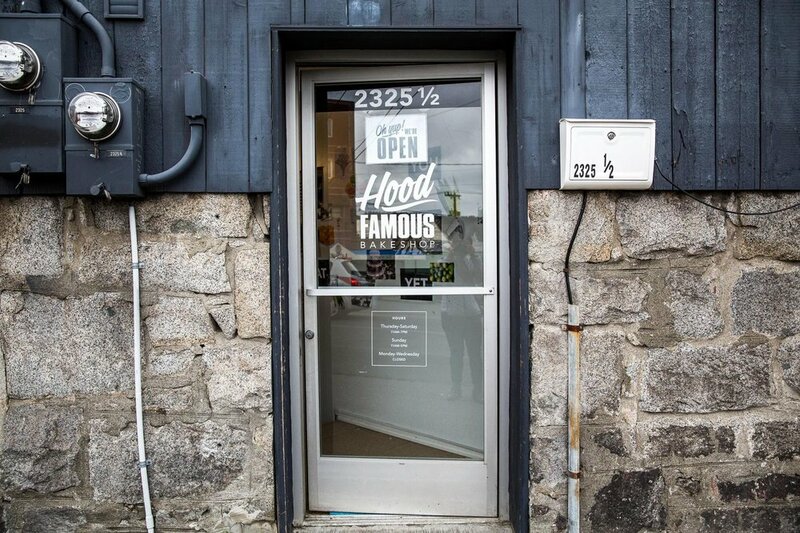 What began as a monthly pop-up restaurant has morphed into a full-time venture for Chera Amlag, owner of Hood Famous Bakeshop. 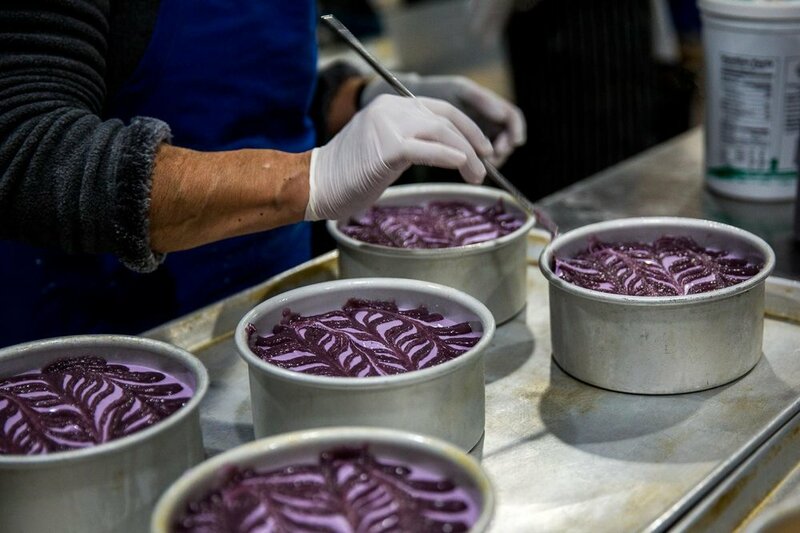 Located in the Ballard neighborhood of Seattle, the humble bakery is the house that ube cheesecake built. 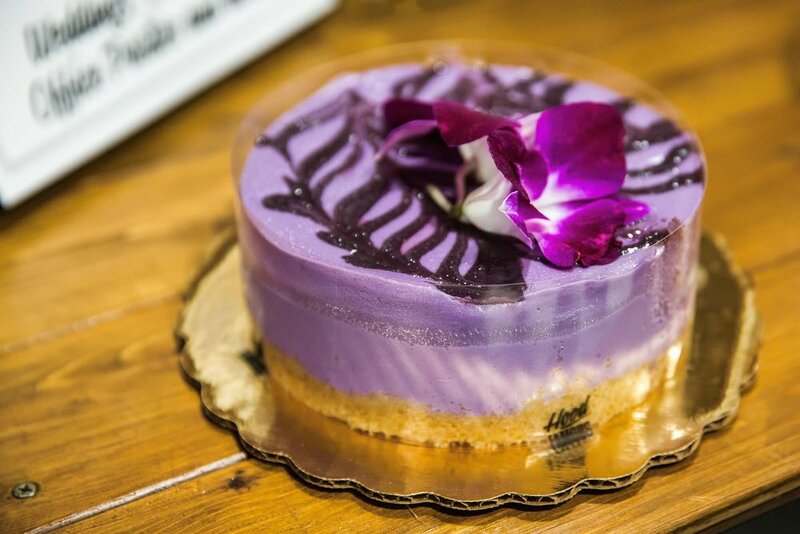 An Asian treat with an American twist, this cheesecake features the bright purple yam known as ube, a root vegetable commonly found in Filipino desserts. Pairing the sweet yam with a coconut-butter biscuit crust, Amlag melds her Filipino heritage with her love for American cheesecake. Amlag, who was born in the Philippines and raised in the United States, grew up eating ube and came up with the idea of adding it to cheesecake while running a pop-up restaurant called Food & Sh*t with her husband, Geo Quibuyen. While Amlag initially served the dessert as a one-off menu item, it began to take on a life of its own as word-of-mouth spread and the photogenic dessert became Instagram famous — and “‘hood famous,” according to some fans, hence the bakery’s name. Today, Amlag runs her wholesale bakery out of her first storefront, a small space she opened in fall 2016 in Ballard. Hood Famous Bakeshop produces other unexpected cheesecake flavors, including coconut pandan, mango calamansi, and white chocolate guava; as for ube-curious eaters, check the tiny shop for additional goodies featuring the vibrant purple yam, including cookies and, during the holidays, ube pie (think sweet potato pie, but prettier). This article was originally published on Eater and written by Suzi Pratt on March 3, 2017. Photography by Suzi Pratt.